Despite the characterization of Tarrant in the media, he was no run-of-the-mill white supremacist. 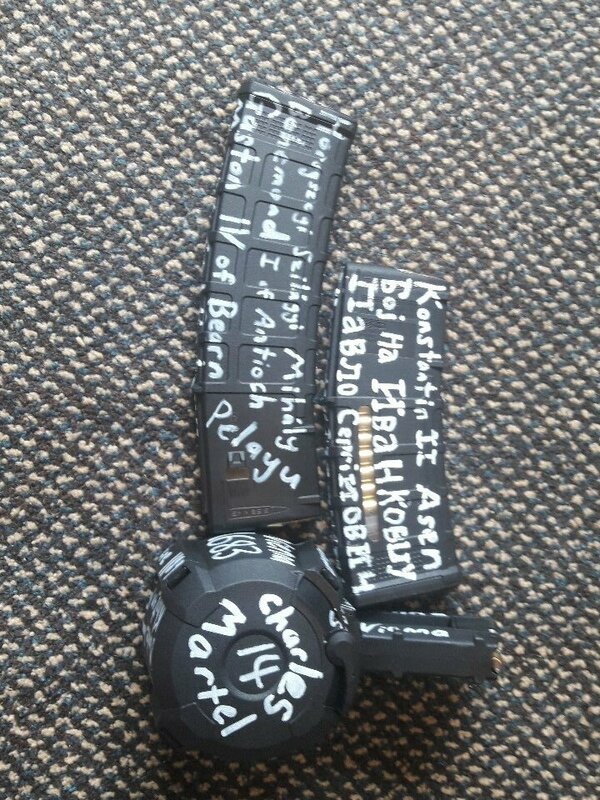 Images posted by Tarrant online just before the attack to a Twitter account which had been dormant until March 12 showed that he was in possession of high-capacity magazines and a semi-automatic assault rifle. 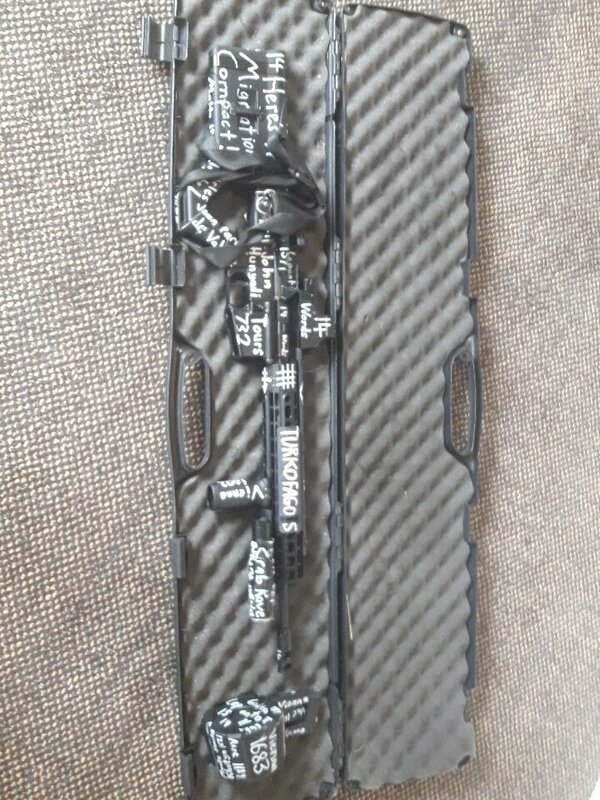 The weapon and magazines would have been classified as either a “restricted weapon” or a “military-style-semi-automatic” (MSSA) under New Zealand law. A person who possesses or uses a firearm in New Zealand needs to hold a firearms license issued by police. Licenses normally last for ten years unless revoked. Foreign nationals may apply from overseas for a one year license based on their possession of an existing license in their home country. Suspicions are inevitably raised over how exactly Tarrant and his alleged co-conspirators managed to stockpile the military-grade weapons and ammunition used in the attack in a country with comparatively strict gun laws. Tarrant, who supposedly began to radicalize starting in 2016 and was allegedly unemployed would have had his radical tendencies discovered with a proper background investigation. Police say that another suspect in the shooting was an individual who acquired the necessary Category A license and began to legally stockpile weapons used in the attack. Additional reports have also established that Tarrant trained at the Bruce Rifle Club in Dunedin. Although the club’s website and YouTube channel have been scrubbed from the internet, an archive shows that it explicitly catered to users and collectors of military rifles. The Australian also engaged in extensive travel abroad to a number of areas that should have raised red flags with intelligence services. Countries visited by Tarrant included Pakistan, North Korea, Turkey, parts of Africa, Portugal, Spain, France, Afghanistan and Xinjiang, China. The extensive travel and access to military grade firearms should have made detection by law enforcement and intelligence services nearly impossible to avoid. There are a number of analogous facts shared by the attack on the North Korean embassy in Spain and the terror event in Christchurch which suggest that the same team was involved in both incidents. In both cases the perpetrators showed that they were well versed in “breach and clear” tactics against buildings filled with people. In both cases the buildings were cleared efficiently and quickly even though the goal of the North Korean incident was focused on intelligence gathering as opposed to mass murder. Aerial analysis of the North Korean embassy in Spain, the Al Noor Mosque and the Linwood Islamic Centre show that all buildings are of similar size and each would have required the same know-how and training to breach. In securing a getaway from the North Korean embassy, the attacking team of approximately ten individuals utilized two luxury vehicles. In the Christchurch attack, the suspects used two vehicles for transport in which live explosive devices were found. The similar number of vehicles used in both incidents points to a common number of participants. The groups involved in both the Spain embassy break-in and the Christchurch terror attacks appear to be military or paramilitary in nature. 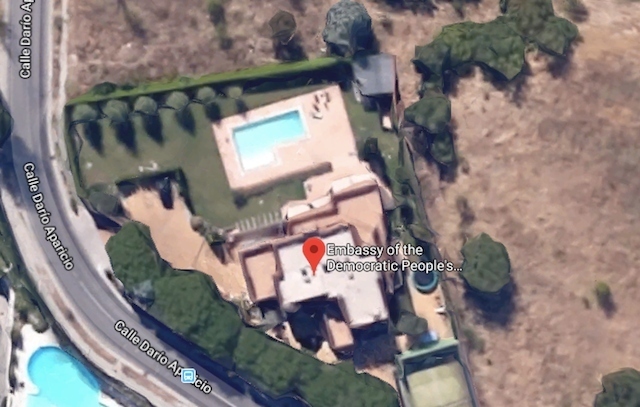 The March 13, 2019 exposé of the embassy break-in by El País directly cited sources involved with the investigation who stated that the attackers were likely a “military cell” with at least two members who were tied to the CIA. Sources such as the New York Post and Washington Post have both run stories attempting to attribute the break-in to a shadowy group of North Korean dissidents. But this explanation is unconvincing since this group would not have the practical military know-how or muscle required to breach and clear the embassy in such an efficient manner. 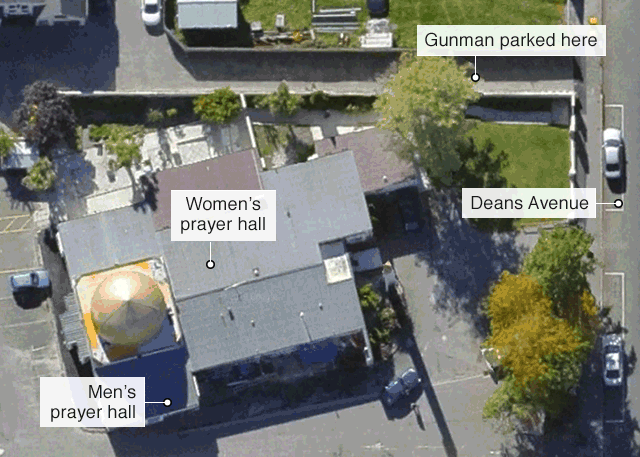 Analysis of documentation of the Christchurch terror attack also indicates that the perpetrators were part of a military style cell. Although much has been made of Brenton Tarrant’s live-streamed attack, no other individuals were featured in the film. Video footage being distributed online shows two individuals carrying firearms during the attacks. Both are wearing baseball caps. This means that neither can be Tarrant, who was filming himself during the attack and wore a helmet with a mounted camera, not a hat. Police speculated during the attacks that there were up to three suspects. But footage and photos that have emerged along with early reports of other suspected locations where incidents occurred indicates that the number of attackers was likely larger. 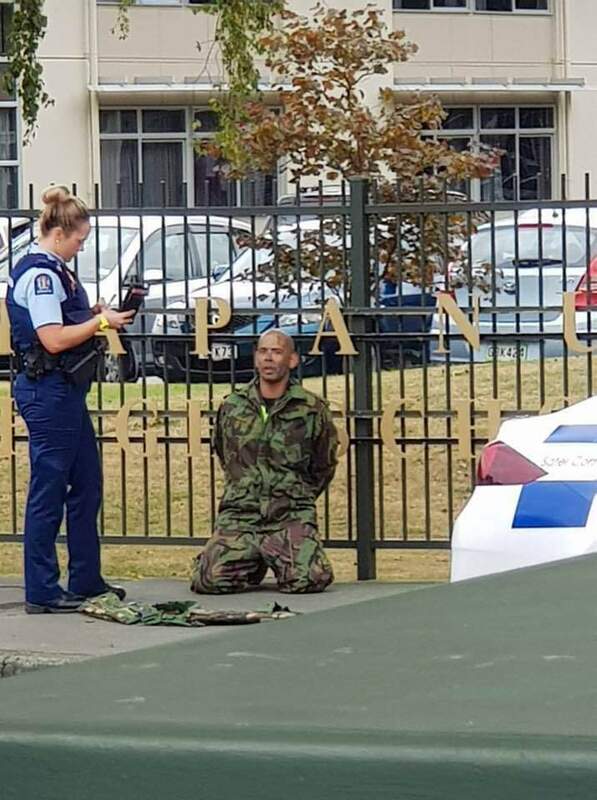 One image shows a man with shaven head in military-style camouflage fatigues being detained by New Zealand police as the attack was contained and halted. Another video shows police standing around a suspect lying on the pavement. As the individual videoing the scene passes, officers roll the apparently lifeless man over onto his back, showing his arm flop as he moved. If the suspect had been alive then police would have restrained him with handcuffs before moving him. Authorities have made no announcement about casualties among the attackers. There were also rumors of other incidents which suggest that the attack might have been larger than is being disclosed. Maori News noted reports that an additional shooting was ongoing at Christchurch Hospital. This went largely unacknowledged by the international media. In the aftermath of the attacks, police in Auckland, New Zealand also responded to a bomb scare at Auckland train station. These facts all indicate that the Christchurch terror attacks were perpetrated by a larger group that would be similar in size to the one involved with the break-in at the North Korean embassy. Turkish President Recep Tayyip Erdoğan has expressed similar opinions, stating on March 15 that the attack was “no individual act” and that he was sending an official delegation to New Zealand to gather further information about the groups behind the attack. Turkish state-owned media source TRT World has cited anonymous officials who claimed that Tarrant entered the country “to carry out a terror attack and/ or an assassination.” Tarrant’s visits to Turkey occurred on March 17-20, and September 13, 2016. Erdoğan survived a coup attempt that began July 15, 2016. 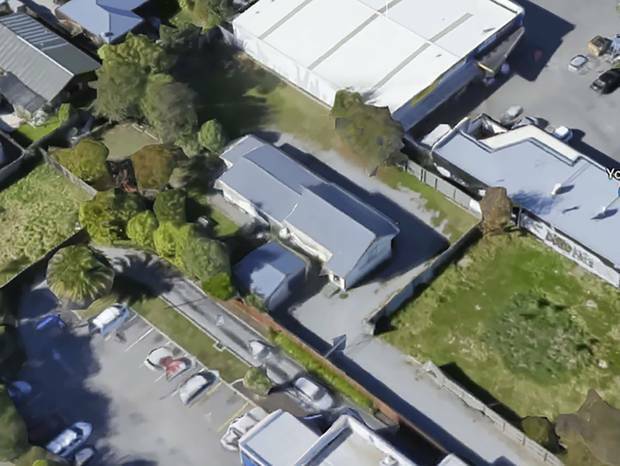 It is also worth noting that the location of police stations in and around Christchurch shows that there were several just a few blocks away from the Al Noor Mosque and Linwood Islamic Centre. This is about a seven to eight minute drive with normal traffic. But witness statements say that police took over 20 minutes to arrive at the scene (the police response time was actually an even longer 36 minutes). Ambulance services took over half an hour to arrive at the scene despite the fact that hospitals were in even closer proximity to the attack locations than police stations. The failure of police to deploy with greater haste or intercept the attackers while they moved from their first target to the second raises serious questions about the reasons for inadequate law enforcement reactions. Normally an incident on such a scale would trigger an immediate lockdown of the affected city and a total isolation of the affected area. If any attackers were not filming themselves, resupplying from their vehicles or firing on innocent civilians while driving in transit as Tarrant did it is likely that they would have been able to effect an escape. Many of the countries visited by Tarrant play host to the operations of agencies with connections to FVEY. FVEY members include the US, the UK, Australia, Canada and New Zealand. FVEY also have a number of Tier B nations who participate in “focused cooperation” on computer network exploitation, including Austria, Belgium, Czech Republic, Denmark, Germany, Greece, Hungry, Iceland, Italy, Japan, Luxembourg, Netherland, Norway, Poland, Portugal, South Korea, Spain, Sweden, Switzerland and Turkey. Outside of the UKUSA Agreement, FVEY members are known to cooperate with Tier B nations on their own. Great Britain has had a deep relationship with Spain since World War II, when Britain bought off the Spanish to remain neutral and then used the country as an escape route for downed Allied airmen. British agency GCHQ also collaborates independently with counterparts in Germany, France, Spain and Sweden. British-Russian double agent Sergei Skripal was also revealed to have been collaborating with Spanish intelligence officers in the years leading up to his poisoning in 2018. Brenton Tarrant’s travels to Turkey, France, Spain and Portugal raise questions about potential connections to intelligence services who collaborate loosely under the FVEY intelligence sharing agreement. Additionally, his time spent in Pakistan, a country with a long history of deep CIA involvement creates an even stronger possibility that Tarrant might have had ties to military or intelligence organizations. Since Tarrant had at least one New Zealander acting as an accomplice, it is possible that there may have been other New Zealand nationals associated with his group. Outside of their collaboration through the FVEY framework, New Zealand’s Special Air Service has been deployed to Afghanistan where they worked directly under the CIA at a base in Bamiyan province according to claims published in 2011. If individuals who had a past or present affiliation with New Zealand’s intelligence or military services were involved with a military cell that participated in the embassy and Christchurch attacks, it would provide a potential explanation for the extraordinarily slow police response time which caused an increased number of casualties. It would also give context to reports that New Zealand police are refusing to provide footage of Brenton Tarrant’s attack to US authorities who are seeking it for training purposes. Whether or not one believes that the Christchurch terror attacks have more to them than meets the eye, it is undeniable that the tragedy is now being exploited by various parties for personal gain. New Zealand Prime Minister Jacinda Ardern has taken the opportunity to promote increased gun control with a total ban on semi-automatic weapons. Ardern formerly worked as a policy advisor to Tony Blair, who has himself been a willing collaborator with British intelligence services. Ardern has not yet commented on the fact that New Zealand security and emergency services caused the death toll to rise substantially higher than needed due to an incredibly slow response time. In addition to the debate about gun control, pundits have begun to harass President Donald Trump, accusing him of having some kind of ideological connection to Brenton Tarrant due to the suspect’s fascist loyalties. These efforts only serve to intensify efforts to derail the ongoing crisis involving the Korean peace process. With the operational similarities between the the Spanish embassy and Christchurch attacks in mind one cannot help but observe that global attention has been ripped away from potential peace talks between the US and North Korea. The gross showmanship of the Tarrant in broadcasting murders for the world to see was an intentional attempt to capture attention and shift global discussion by committing a heinous act of terror. As the Christchurch attacks unfolded, North Korean Vice Foreign Minister Choe Son Hui made an announcement blaming US administration officials for a breakdown in denuclearization talks and threatened to break off negotiations to resume testing. These comments were immediately highlighted by Russian news agency TASS and the international press. Other comments clarifying that personal relations between Mr. Kim and Mr. Trump were still good and their chemistry “mysteriously wonderful” were almost totally ignored in coverage of the press conference. The official facts of the Christchurch terror attacks will likely shift over time in the same way that official narratives fed to the public by federal investigators changed constantly in the aftermath of the 2017 Las Vegas shooting. But the apparent military and intelligence connections of perpetrators in the attack, the discrepancies between the official reports about the size of the group of suspects and footage of the event as it unfolded and the operational similarities to the North Korean embassy incident will continue to erode confidence that the public is being given all the facts. 3/17/2019: This article was updated with new details regarding emerging facts and clarification about police response times. Unfortunately, the New Zealand government has engaged in unprecedented censorship of the event and videos of the incident have all been taken offline. William Craddick is founder and editor of Disobedient Media where this article first appeared. Why is the Federal Government Installing Mysterious Boxes on Utility Poles? Was This Dead Oil Exec’s Car Hacked? Why Were Hellfire Missiles Found On a Portland Bound Passenger Flight? “Lights Out!” Did Trump and His Neocons Recycle Bush-Era Plan to Knock Out Venezuela’s Power Grid?